CUBORIENTE: Image Mapping Africa-Inspired Religio-Cultural Heritage in Eastern Cuba…Launched! The Cuboriente website project is dedicated to a digital image mapping of Africa-inspired religio-cultural heritage in the eastern, Oriente region of Cuba. Motivated by the opportunities of the Cultural Heritage Informatics Initiative (CHI), Cuboriente developed from a desire to contribute to Afro-Caribbean digital humanities work. The project is grounded in the eastern Cuba research of the African Atlantic Research Team (AART) of Michigan State University. The website represents the collaborative efforts of Prof. Jualynne E. Dodson, director of AART, CHI Fellow Shanti Zaid, and Dr. Sonya Maria Johnson, building on the work and resources of the Research Team. We created Cuboriente as a digital public educational resource to showcase some of the African heritage religious and cultural activity from a region of the island that few have a chance to see. I am excited to launch my project, rapKenya, which can be viewed at rapkenya.matrix.msu.edu . 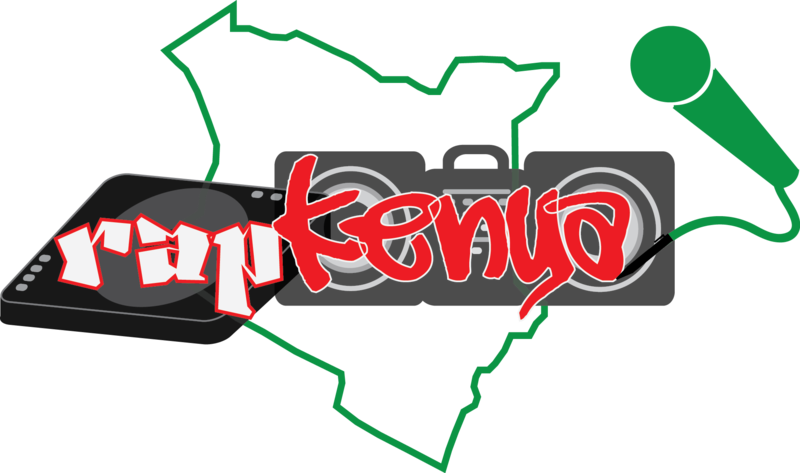 rapKenya is intended to be a one-stop online resource for people interested in accessing and learning more about Kenyan hip-hop culture, particularly rap music.There are two components of this project: 1) digitization and annotation of Kenyan hip-hop lyrics and, 2) building of an online Sheng dictionary. Both components work towards the goal of giving people access to Kenyan hip-hop lyrics and help them discover the meaning of the lyrics. So far, I have completed what I would call the phase one of this project. I have built a website where this project will live using Foundation5 html framework. The Cultural Heritage Informatics Initiative invites applications for its 2014-2015 Cultural Heritage Informatics Fellowship program. The Cultural Heritage Informatics Fellowships offer MSU graduate students in departments and programs with an emphasis on cultural heritage (Anthropology, History, Art History, Museum Studies, Historical & Cultural Geography, Classics, etc.) the theoretical and methodological skills necessary to creatively apply information, computing, and communication technologies to cultural heritage materials. In addition, the fellowships provide graduate students with the opportunity to influence the current state of cultural heritage informatics, and become leaders for the future of cultural heritage informatics. Visualizing Southern Television (v. 1.0) Launched! After some trials and tribulations I now have my project up and running. Nkwejong: Oral Histories and Stories of the Lansing Anishinaabeg community. This is just the beginning of what I hope will be an ongoing project that brings together my dissertation work and other collections of materials to record and preserve the Native history of the Lansing area. The Lansing area has a long history of use by Native communities in the Great Lakes. While there were only a few permanent habitations in the area, it was well known as a place of intersecting trials and a place to gather resources. Some of these trials that ran through the area would later become two of the major highway systems in the state, Grand River (I-96) and 1-27. It is also the place where the Grand River and the Red Cedar River merge. The Grand River is one of the largest rivers in Lower Michigan. At its head waters in Washtenaw County it connects to the Huron River over a short portage creating an East West water route that allows one to travel from Lake Michigan to Lake Erie. This area was a shared space used by Three Fires Anishinaabeg peoples that was eventually ceded to the United States in two separate treaties in 1807 and 1821. Anishinaabeg continued to use the area even after the Indian Removal Act of the 1830’s. Over the past six months, I’ve been developing and tweaking ieldran, an interactive Early Anglo-Saxon cemetery map. In this post, I’ve going to overview quickly why I developed the project, what tools I used, and where the project will be going. In 410 C.E., the Roman Empire withdrew its administration and armies from England. Increasingly over the course of the 5th century, Germanic and Northern European tribal groups began to migrate into England. Due to the changes in population and political structures, high levels of archaeological diversity and transformation characterize this period from the mid-5th to the early 7th centuries C.E. This diversity can be attributed varied cultural, social, economic and political interactions between the post-Roman Britons and incoming Northern European immigrants. There was a shift to furnished inhumation and cremation burials in the mid-5th century across England in areas where migrants were more prevalent. The archaeological remains of both cremation and inhumation practices are found in varying frequencies throughout England and often co-occur within the same cemetery. Better understanding of burial practices will aid in creating more nuanced interpretations of social, religious, political and economic relationships and identities in this period. Imbiza 1.0: It’s Just the Beginning! Ke nako! Imbiza 1.0: A Digital Repository of the 2010 World Cup is now live and can be found at imbiza.matrix.msu.edu! Imbiza is a digital repository of over 500 photos and videos related to the 2010 World Cup in South Africa. I have compiled materials for nearly every day of the tournament, and sources that are representative of all but two of the nations that competed in 2010. The project also contains some thematic galleries, which arrange some of these photos according to certain aspects of the tournament that I hope to extrapolate on in future versions of the project (more on this below).